Although we’re already one of the leading digital marketing agencies in the East Midlands, we’re on a mission to grow and so we here at Anicca Digital, have appointed a new director to help keep our ambitious growth plans on target. Director of Learning & Development, HR and Organisational Design, Angie Longman, has joined the board alongside Managing Director, Ann Stanley, Operations Director Darren Wynn and Director of Client Development Caroline Spence. She will be in charge of staff development, heading up the internal and external training, overseeing general HR responsibilities and looking at the structural organizational design of our company. Anicca, which has seen turnover increase by over 100% since 2015, is predicting similar growth in 2017 and 2018, and as a result, has increased staff numbers from 17 to 27 within the last 12 months. We are currently based on King Street, and have invested over £300,000 in the former Cricketers’ Rest pub building on the corner of the A50 on Abbey Gate in Frog Island. 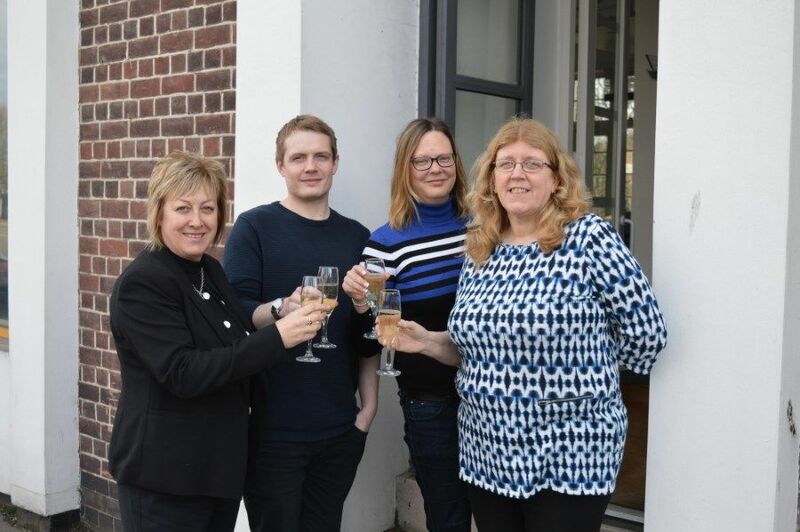 The deal, which is part of a £1,000,000 project, will see the two-storey building transformed into a state-of-the art digital office space, complete with co-working space, meeting rooms and training area. Angie was originally appointed as Client Services Manager at Anicca, but progressed quickly to Head of Client Services having come from being Head of Web Operations for a digital design, development & marketing company for six years. Due to her natural operational background, she became involved in organisational structure, helping Anicca staff to develop their skills and abilities with a keen focus on inhouse training and development. The entire growth project is anticipated to take over 12 months to complete before we can take up residence in the new offices. It will see the us expand our services, that currently include PPC, SEO, PR and Social Media to ecommerce and B2B businesses, including Deichmann, Experian and Domino Printers. We also provide companies with bespoke training in online marketing, as well as hosting monthly training bootcamps where individuals and businesses can learn the in-depth knowledge they need to take control of inhouse digital marketing strategies.